2-piece set. 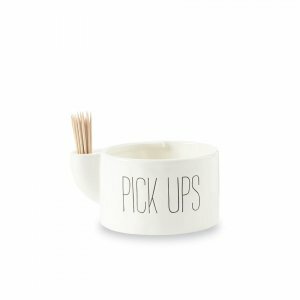 Mottled ceramic appetizer "PICK UPS" bowl features debossed sentiment exterior and attached side well to hold included pack of 25 toothpicks. 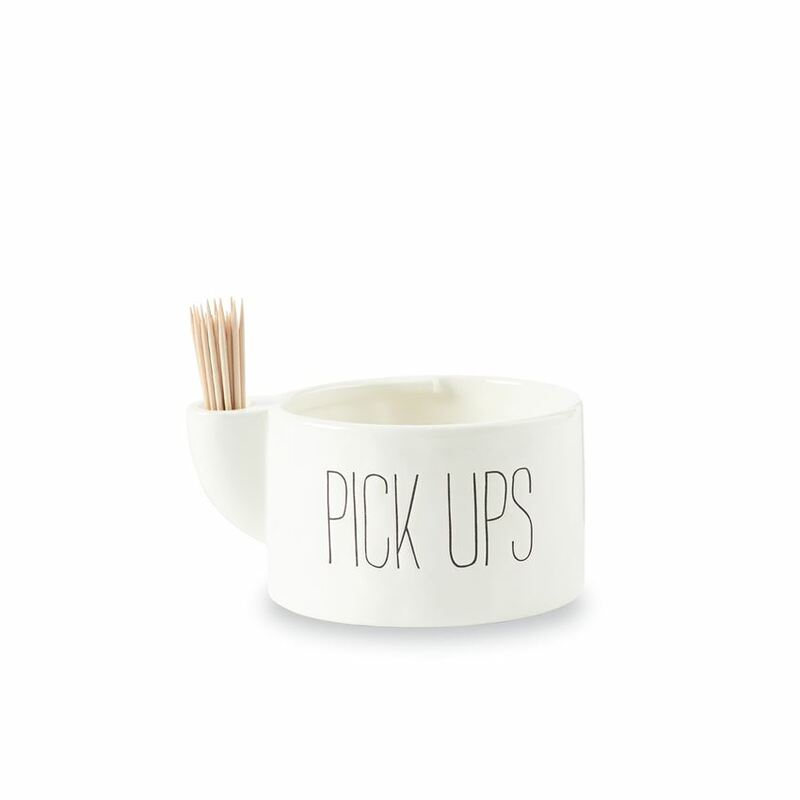 Perfect for tailgating and other casual events. Size: 2 3/4" x 5 3/4" x 4 1/2"